My parents’ taught me, “If you don’t have anything nice to say, don’t say anything at all.” So I will make this short and sweet. 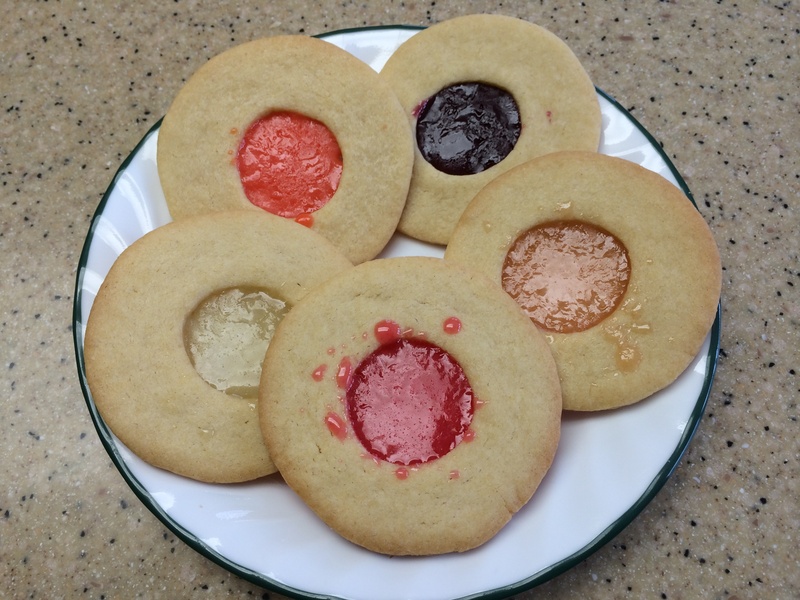 In my world, hard candies and sugar cookies, DO NOT go together. They are both great on their own, but you don’t want to bite into a sugar cookies with a hard candy center. Hard candies are meant for sucking on. I didn’t have any appropriate pretty cookie cutters so I used my doughnut cutter. I know, BORING, but that’s all I had. And it’s not all about how a cookie looks but how it tastes. Or maybe in this case these cookies should have looked pretty if I was intending to use them as an ornament and not an edible snack. I used 6.25 ounces of lifesaver hard candy. I ran out of candy for the 4 dozen cookies I made. That’s all I have to say about that.